WE CAN DELIVER THIS SLK350 TO ANY DRIVEWAY IN THE COUNTRY! VISIT OUR WEBSITE AT WWW.SHOPRIGHTCHOICE.COM TO SEE 86 PHOTOS, THE FREE CARFAX, AND MORE INFO ON THIS SPECTACULAR CAR! 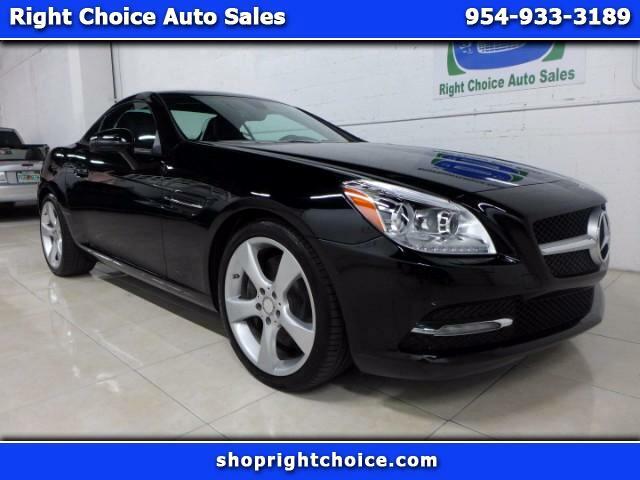 THIS CLEAN CARFAX, ULTRA LOW MILEAGE SLK350 IS LOADED WITH $7,680 IN OPTIONS AND IS LITERALLY LIKE A NEW CAR. WHY BUY NEW WHEN YOU CAN GET THIS CAR FOR $34,325 LESS? WE'VE PRICED IT TO SELL QUICKLY AT $4,540 LESS THAN CARFAX VALUE! DON'T MISS THIS DEAL. Message: Thought you might be interested in this 2012 Mercedes-Benz SLK.